Murder with Music (1941) - Horrible musical "race picture" from Century Productions and director George P. Quigley. A newspaper editor (Bob Howard) tells a long, meandering story to a potential new employee (Milton Williams). 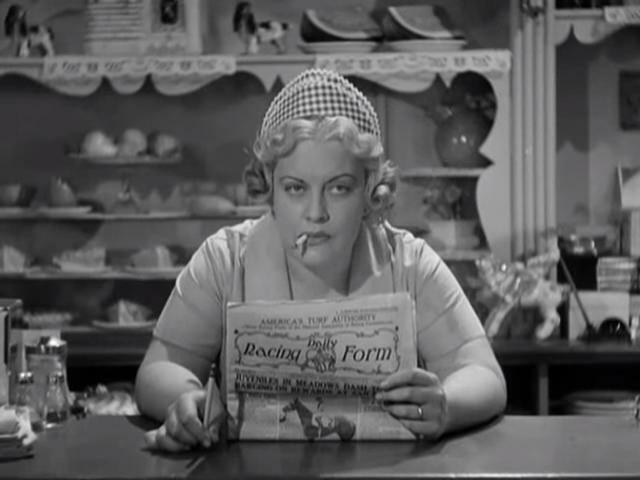 It concerns a nightclub singer named Lola (Nellie Hill) and the men who are in love with her, including reporter Hal (George Oliver) and escaped convict Mike (Bob Dillard). Also featuring Ken Renard, Marjorie Oliver, Ruth Cobbs, Andrew Maize, and Pinky Williams. New York's Film Forum is having a Ingmar Bergman retrospective this month. I saw this one On Demand the other day. I thought it was quite good, though not one of my favorite Bergman films (Fanny And Alexander and The Seventh Seal). Sometimes his films grow on me, so maybe I will revisit this one again. I saw that one a few days ago too. It captures mental illness and uncertainty in a cruel world very well. I think she shoulda kept her head and given in. She could not give Henry the male heir he wanted, and he was already eyeing another woman, Jane Seymour. She had outlived her usefulness to him. Ironic, though that even though Seymour did indeed give him the son he wanted, Edward, the child would not live to manhood. It would be Henry's daughter Elizabeth, who would rule England with a mighty fist, so in the end you could say that Anne did indeed have the last laugh even if she wasn't around to see it. My Life with Caroline (1941) - Misguided romantic comedy from RKO and director Lewis Milestone. 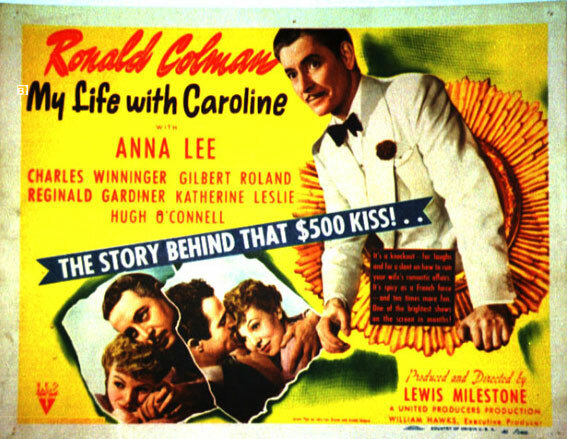 Ronald Colman stars as Anthony, the husband of Caroline (Anna Lee). Caroline has decided that she no longer loves Anthony, and so she pursues other men, including sculptor Paul (Reginald Gardiner) and gaucho Paco (Gilbert Roland). Anthony does what he can to win her back. Also featuring Charles Winninger, Robert Greig, Kay Leslie, Hugh O'Connell, Murray Alper, Matt Moore, and Feodor Chaliapin Jr.
June Night (1940) - Swedish melodrama from director Per Lindberg. 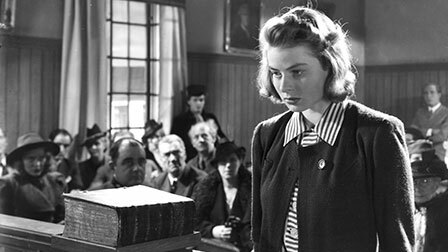 Kertsen Norback (Ingrid Bergman) is shot in the chest by her emotionally unstable boyfriend Nils (Gunnar Sjoberg). The bullet grazes her heart, but she survives, only to become the subject of a nationwide public scandal when Nils is put on trial and their unmarried status is brought up. After the trial, Kersten moves to Stockholm under an assumed name and tries to start a new life, but the demons of her past are always at her heels. Also featuring Marianne Lofgren, Lill-Tollie Zellman, Marianne Aminoff, Olof Wdgren, Gabriel Alw, and Carl Strom. Looks interesting. Apparently this was Ingrid's last film before moving to the US. Did you watch it for your 1940 list in the foreign films thread? Yes, I did! I wanted to have at least one title to list. 4 hours ago, Det Jim McLeod said: Through A Glass Darkly (1961) New York's Film Forum is having a Ingmar Bergman retrospective this month. I saw this one On Demand the other day. I thought it was quite good, though not one of my favorite Bergman films (Fanny And Alexander and The Seventh Seal). Sometimes his films grow on me, so maybe I will revisit this one again. Then Gershwin fan said: I saw that one a few days ago too. It captures mental illness and uncertainty in a cruel world very well. I saw this last week too, but was so underwhelmed, I didn't want to say so. I wondered if it was just me or my mood. I just didn't care about the charactors or their situation, so it seemed long & dull. Ingmar Bergman's movies can have that effect on me. If I'm in the right mood, I think they're brilliant, but if I'm not, they become tedious slogs. "Tedious, eh? Care to play a game of chess?" Never Give a Sucker an Even Break (1941) - Anything-goes comedy anarchy from Universal Pictures and director Edward Cline. 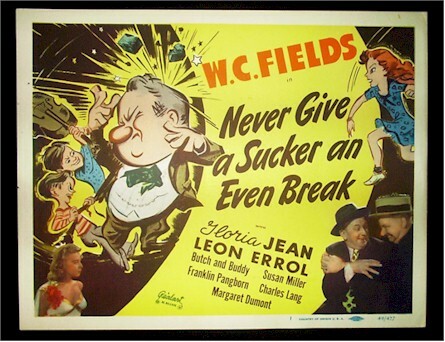 W.C. Fields stars as "W.C. Fields", or "Uncle Bill", or "The Great Man". He works for the Esoteric Pictures movie studio, run by executive Franklin Pangborn (Franklin Pangborn). Also working on the lot is Fields' niece Gloria Jean (Gloria Jean), a young singing star. Fields tries to lay out his latest script ideas to Pangborn, with mixed results. Also featuring Margaret Dumont, Anne Nagel, Leon Errol, Butch & Buddy, Susan Miller, Charles Lang, Claud Allister, Jody Gilbert, and Minerva Urecal. For my money and funny bone, W. C. Fields' last starring vehicle remains one of his most crazy and best, getting down right surreal at times. As you said, Lawrence, anything goes. Fields' five minute bit in a diner with Jody Gilbert as a waitress with attitude (who casually tosses the menu at him as he sits at a table) is a classic piece of comedy. As Gilbert says to the great comedian at one moment, "You're as funny as a cry for help." I've often thought that if Jody had been the waitress that Jack Nicholson had to deal with in Five Easy Pieces he'd have eaten anything she brought to him "and liked it.". I haven't seen The Seventh Seal in years but I have to admit this image puts me in a mood to take another look. One of my favorites ever but have not seen it in a long time. This may be the scene where Death encounters Antonius Bloch's squire and is totally silent. When asked later, by Antonius what Death had to say, the Squire replied something like "He was most eloquent, Sire, but very gloomy." Smiles of a Summer Night is one of the greatest comedies (or of any genre) ever made ... period! I have a copy of that. I had a curious experience with Fanny & Alexander (the theater version). Years ago I checked the VHS from the library. Unfortunately they had only the first tape, it was issued in two parts, one VHS for each. I was totally bowled over by Part One. I was thinking at the time, is the best I've ever seen? This family on that Christmas Eve, this party with that traditional march around the rooms, the maid has a "crush" on the little boy, this tortured man who can make the kids laugh but is deeply miserable and is verbally cruel to his wife, the man playing the ghost in Hamlet and suddenly faints and asks "Where am I," that wonderful speech given about the theater earlier, primal screams to purge the death of a loved one ; I mean great scene after another. It was as if (I'm surprised I remembered all that) the great master had after a long career had nevertheless found enough for a magnum opus. I was captivate no end. I found out the second part was no longer in the system but didn't panic, this will turn up sometime soon, something to look forward to. When if finally did, it was a different movie. Immense disappointment!! What happened? 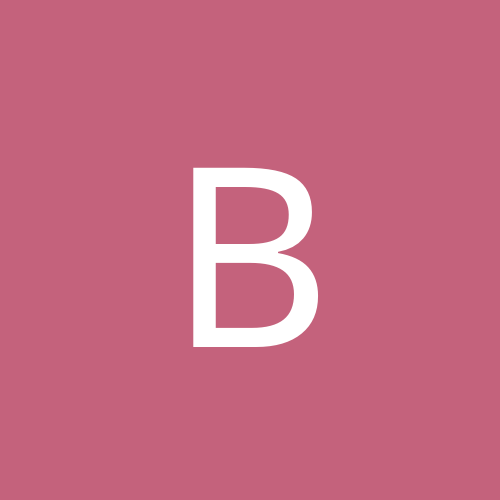 Did I build it up too much in my mind? Why did that lovely lady marry that wretch of a priest!? Oh, how I hated that guy! Ah, now I have somebody for the pitchfork thread, yes, a good candidate (and maybe its no coincidence that sometimes the devil himself is seen with one). I will have to go back to try this again so I can hopefully extinguish this terrible dissatisfaction and give the film a chance to rehabilitate itself, or should I say enhance my own perception of it. I'm sure I can at least enjoy part one. And the question was posed "Is there a God?" to Death, from a man who desperately wanted to know and who was most encouraged to be asking "someone" he felt would be in a position to know. I will admit no detail of his answer. Pretty Poison (1968) - I got this one for Tuesday. No, no, I had a lot to do on Tuesday, I mean ... I got it for Weld. I was curious to see her in an embodiment of something other than Thalia Meninger. Thalia was cute and this new, er, embodiment doesn't disappoint on that score, as to other things, well ... She was the pretty poison though you wouldn't know it at first. This thing was boring me no end and I was thinking that it was just some bomb that one never talks about blah blah blah. Then the bomb hit, the big shift in the middle when something happens that changes everything. I didn't know anything about this and I guessed a romantic comedy but it turned out to be a thriller of sorts, a weird one. Tuesday's acting gets better in the after part of the film. And the same for Anthony Perkins, it was interesting to see him be real after all that nonsense at the beginning. So it turned out rather entertaining, one of the biggest turn-arounds I know in a film. They almost wait to long to make it happen. They almost lost me. Or you could just watch Bill & Ted's Bogus Journey in which the title characters challenge Death to a game of Battleship! 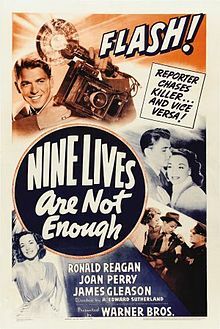 Nine Lives are Not Enough (1941) - Fast-paced mystery-comedy from Warner Brothers and director A. Edward Sutherland. Ronald Reagan stars as Matt Sawyer, an intrepid reporter for a big city newspaper. While on a ridealong with his police contacts Sgt. Daniels (James Gleason) and Off. Slattery (Edward Brophy), he discovers the body of a murdered millionaire, and decides to help solve the case and report the story. Also featuring Joan Perry, Faye Emerson, Howard Da Silva, Peter Whitney, Charles Drake, Vera Lewis, Ben Welden, Howard Hickman, Joseph Crehan, and John Hamilton. 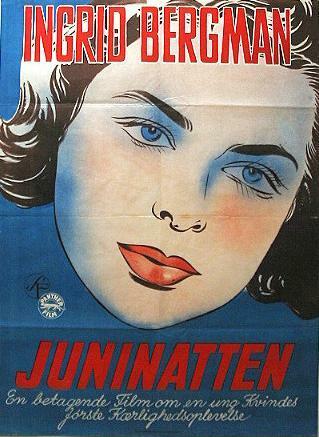 the foreign posters for Bergman films always** seem to use HER BIG OLE HEAD as the art and very little else. she was a striking woman tho, so it works. 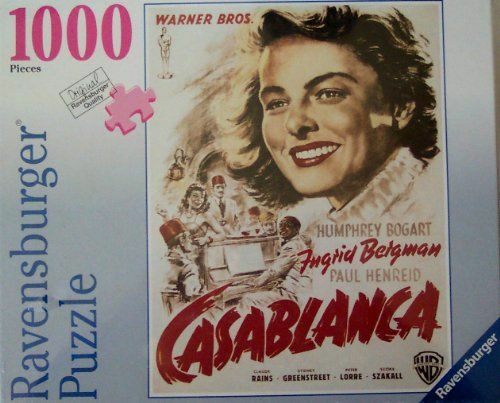 which, I WARN YOU ALL: IS THE MOST IMPOSSIBLE JIGSAW PUZZLE OF ALL TIME. I THREW IT OUT IN DISGUST. IT ACTUALLY SLIGHTLY DIMINISHED MY LOVE OF THE MOVIE ITSELF. I watched THE WHOLE TOWN'S TALKING last night, odd movie- but fun. Minimal Jean Arthur and Maximum Edward G. Robinson, which was just how I wanted it. Out of all the great unnominated performers, the name of EDWARD G ROBINSON really does stand out above the others. I mean, I guess I get that LITTLE CAESAR and SCARLET STREET were too controversial, and they felt like supporting nominations for DOUBLE INDEMNITY and KEY LARGO were beneath him, as he'd been a huge star in the 30's...but that still doesn't explain how he didn't get nods for this or for FIVE STAR FINAL- which honestly, I think he should've won for. the RADIO VERSION of KEY LARGO was on the other day, no Bogie and Bacall, just Robinson and Trevor, and the story shifts its focus to them. it's great. ETA: In re: THE WHOLE TOWNS TALKING felt like- considering the ending- the film was a bit closer to film noir than screwball territory.